Jeep Wrangler owners know what a pain it is to remove and reattach their vehicles’ fabric roof. 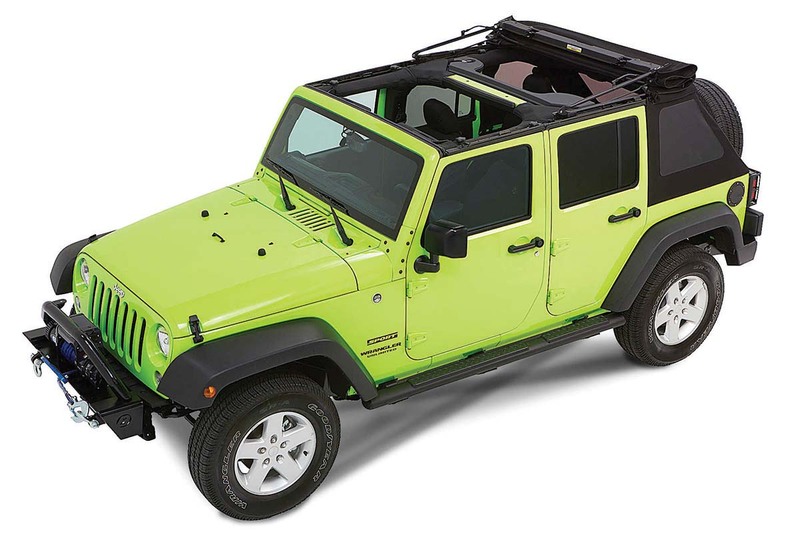 Accessories supplier Bestop solves the problem with the Trektop NX glide convertible soft top. The product’s frame can be partially folded (sun-roof-style) or fully folded behind the rear seat. In addition, the tinted side and rear window panels are made to easily slide out, which is a big improvement over having to unzip them. The cloth top’s cool ‘fastback’ styling gives 2007-’17 Wranglers a more modern appearance, too. Prices range from about $900 for two-door Wranglers with the sunroof option, to $1,000 for four-door Wrangler Unlimited models, depending on fabric choice. Order at www.bestop.com.